Just when it seemed that oil was set to ride another Slip ‘N Slide, a bunch of market factors combined forces to spur a stellar rally instead. In fact, oil prices rebounded by nearly 30% last week, boosting the positively-correlated Canadian dollar against its forex peers in the process. In case you’re wondering why the Loonie is able to benefit from oil price gains, then you gotta review our School of Pipsology lesson on Intermarket Correlations. And if you’re not convinced that these assets often move in lockstep, lemme remind you that Canada just entered a recession yet the Loonie has been lookin’ mighty fine these days thanks to the oil rally! The million-dollar – or more like million-barrel – question is: Was this just a much-needed correction for oil or does it mark the start of a longer-term recovery? To answer this and to predict the Loonie’s forex trends, let’s take a look at the major factors affecting oil prices these days. 1. OPEC ready to cooperate? Perhaps the biggest catalyst for the recent oil price rally was the OPEC’s willingness to cooperate, as the big shots over at the cartel said that they’re finally opening up to discussions about setting a fair price for oil. “Today’s continuing pressure on prices, brought about by higher crude production, coupled with market speculation, remains a cause for concern for OPEC and its members—indeed for all stakeholders in the industry,” indicated its latest bulletin. Now is a pretty huge deal, considering how the OPEC has previously been very stubborn about maintaining its oil output even while some of its members have been calling for supply adjustments to curb the decline in prices. However, the latest scoop reveals that the OPEC member nations still haven’t reached an agreement on their production and price forecasts. Another big factor that allowed crude oil to extend its rally was the latest U.S. oil inventories report. While the headline figure showed a buildup of 4.7 million barrels, revisions to earlier reports indicated that U.S. shale oil producers weren’t churning out as many barrels as previously estimated. In fact, the U.S. Energy Information Administration pointed out that the U.S. actually produced 40,000 to 130,000 fewer barrels per day between January and May. In June, oil output was actually lower by 100,000 barrels per day compared to earlier months. As it turns out, U.S. oil production peaked in April this year then slowed down throughout the summer, easing fears of a global supply glut. To make things worse (or better for oil prices, depending on how you look at it), news that tropical storm Erika is currently battering Florida and nearby states sparked speculations of potential outages among oil facilities near the Gulf of Mexico and in the Phillips 66 Bayway refinery in New Jersey. Dubbed as the “gasoline machine” by commodity experts, the Bayway refinery supplies most of the crude oil for the U.S. northeast area. Over in Canada, a couple of oil producers have halted operations, with Canadian Oil Sands announcing a temporary suspension due to a fire in its processing facility and Nexen Energy closing 95 pipelines due to regulatory concerns. Analysts predict that this could put a noticeable dent on oil supply, which might keep prices supported. Keep in mind that Venezuela’s economy has suffered heavy blows from the oil turmoil and has been calling for an OPEC emergency meeting for quite some time. Meanwhile, Russia is a non-OPEC country but is also suffering a supply glut, which means that it shares the same interests as Venezuela. So far, there have been no concrete details yet, but Russia is starting to make aggressive moves elsewhere. Word through the grapevine is that Russia just signed an energy deal with China to pass more gas (Sorry, couldn’t help it! ), making the Chinese economy the largest buyer of Russian energy supplies. In effect, this would ensure sustained demand for some of Russia’s oil and energy exports, also allowing prices to stay afloat. 5. More stimulus from the ECB? Last but definitely not least is this week’s ECB interest rate statement, which revealed that the central bank is open to making monetary policy adjustments to boost price levels. This announcement was followed by downgrades to growth and inflation forecasts, confirming that ECB officials are ready to act if commodity prices continue to fall. The prospect of further ECB easing could trigger euro depreciation, which would mean weaker purchasing power. This could then make imports more expensive, driving up domestic price levels in the process. In addition, increased liquidity in the markets could spur business and consumer spending, which would then drive up demand. All in all, this could put upward pressure on commodity prices and most likely shield crude oil from further declines. Of course some naysayers claim that oil hasn’t really been rallying due to strong fundamentals these days, arguing that the recent rebound was a mere correction. 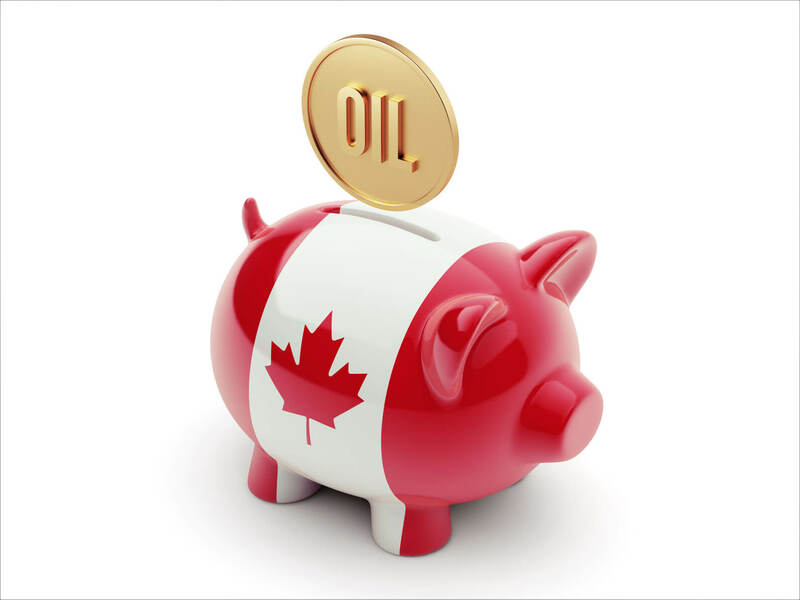 What’s your take on these oil price trends and its potential impact on the Loonie’s forex action?